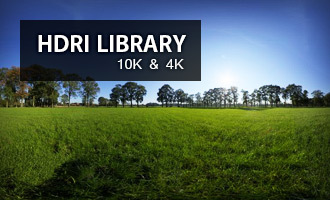 All the HDRI maps feature a very high dynamic range and perfect image quality, with a maximum of 10K resolution. Save money and buy in bulk! The more you buy, the cheaper it gets. Check out all the available options here. 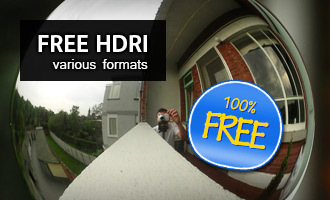 Free 10K HDRI maps, monthly HDRI giveaway, mirrored ball and skydome HDRI collections. All for free, check it out now! Aversis, creating HDRI maps since 2003! We have been shooting hdr images since 2003, evolving in the process along the way. We used and tried many workflows, gear and software to ensure we get the most out of every component. 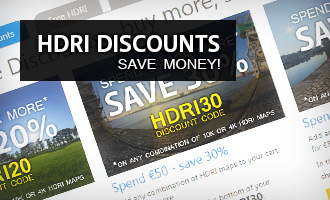 This results in very crisp image quality, super high resolution and a very high dynamic range for each hdri map. Please read more about the importance of true high dynamic range, and other features that make up a high quality hdr image.